National Museum of Decorative Painting was created in 1982 for the purpose of collecting, preserving and displaying the art of decorative painting. The museum houses more than 1,500 examples of decorative painting of historical and contemporary significance and of artistic merit. 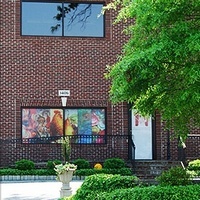 Additionally the museum provides exhibitions and educational programs for the public to increase appreciation and understanding of decorative painting, its heritage, methods and techniques.